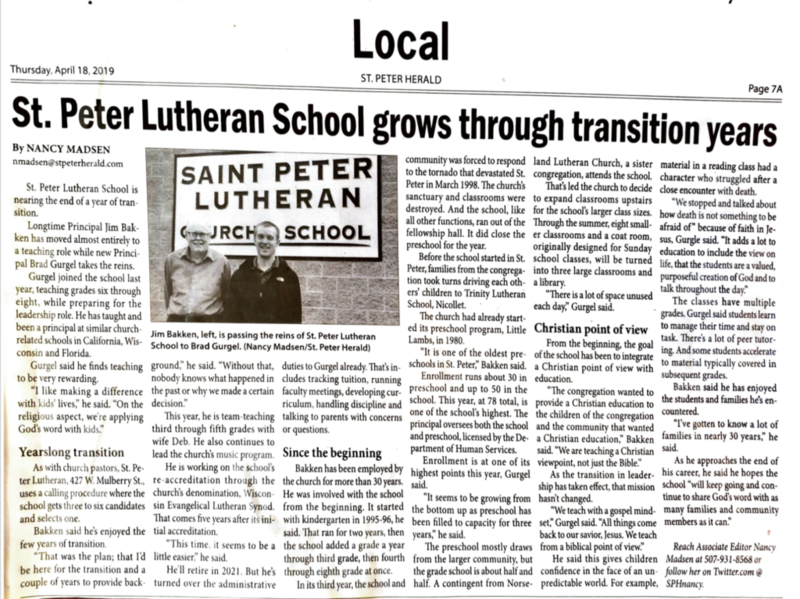 Today our school, Mr. Bakken, and Principal Gurgel were featured in the Saint Peter Herald! 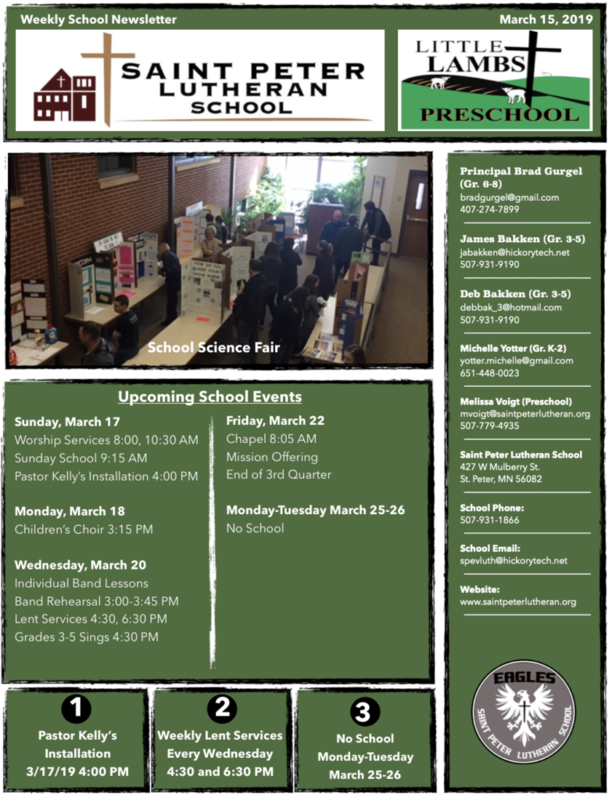 Click on the link below to read the full article! 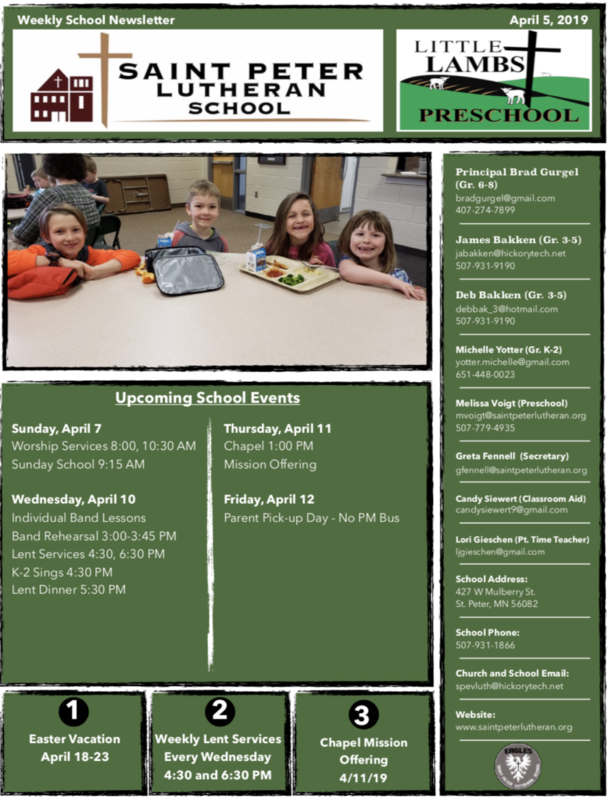 Click on the link below to read the 4/17/19 edition of the weekly Saint Peter Lutheran School newsletter. 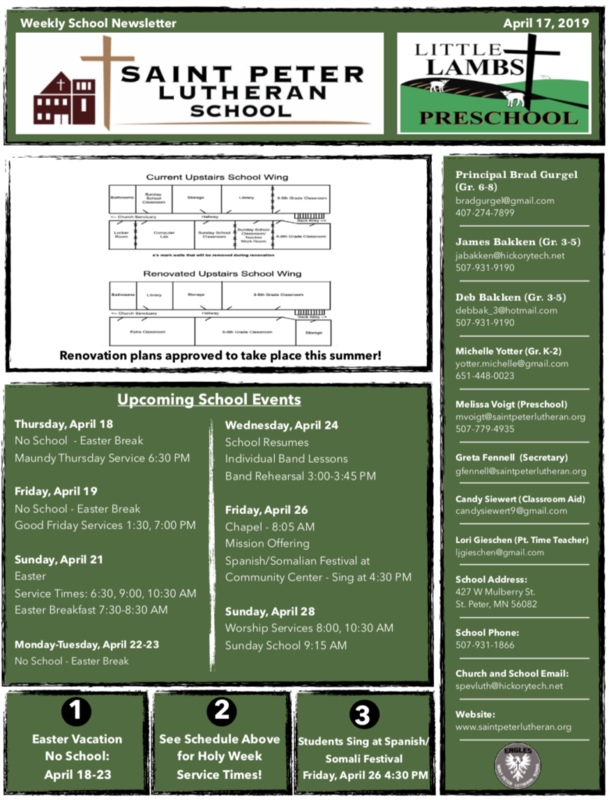 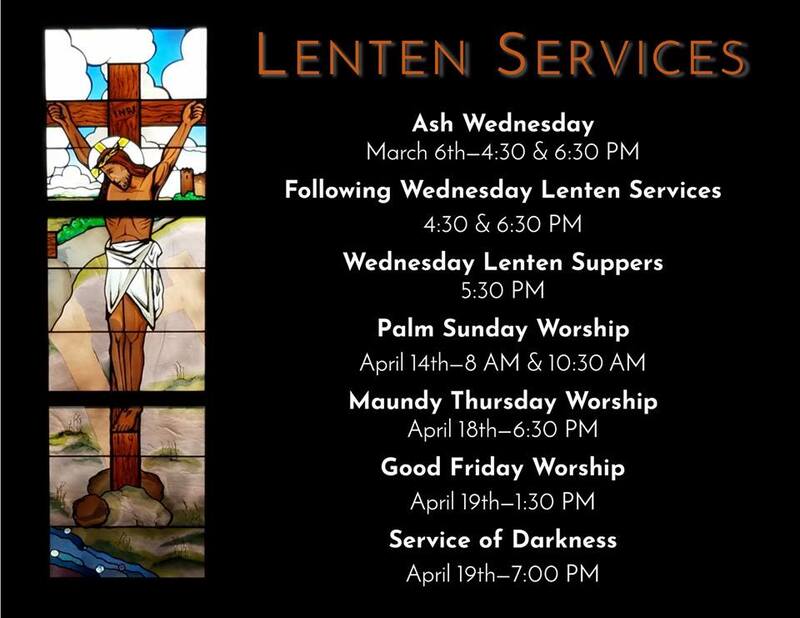 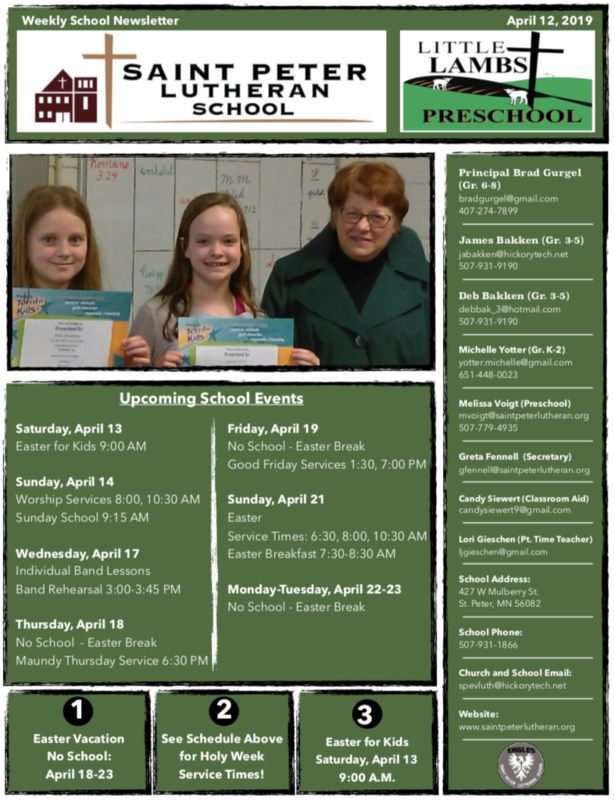 Click on the link below to view the 4/5/19 edition of the weekly Saint Peter Lutheran School newsletter. 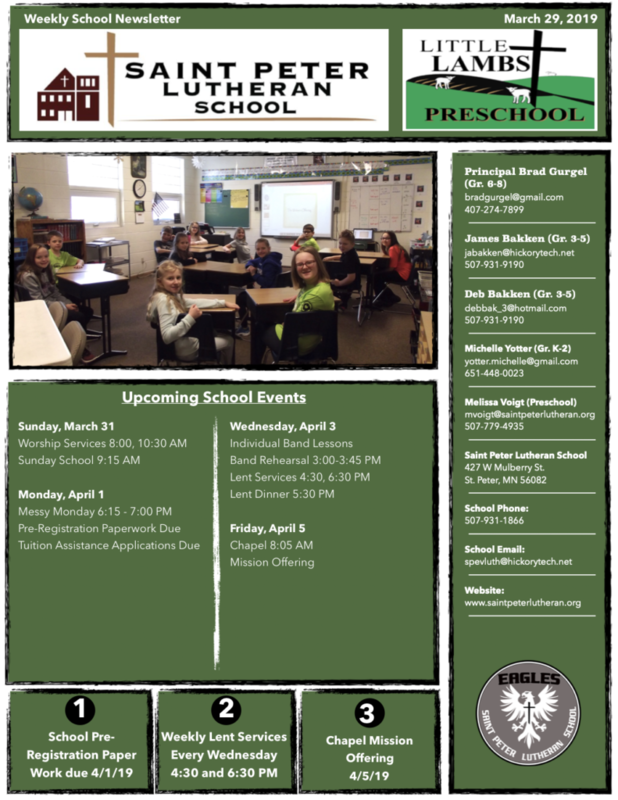 Click on the link below to read the 3/29/19 edition of the weekly Saint Peter Lutheran School newsletter. 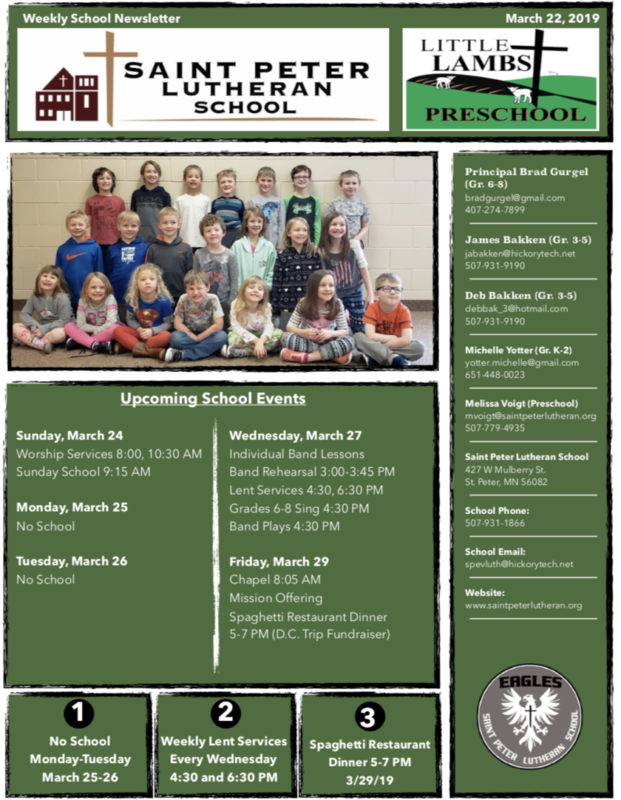 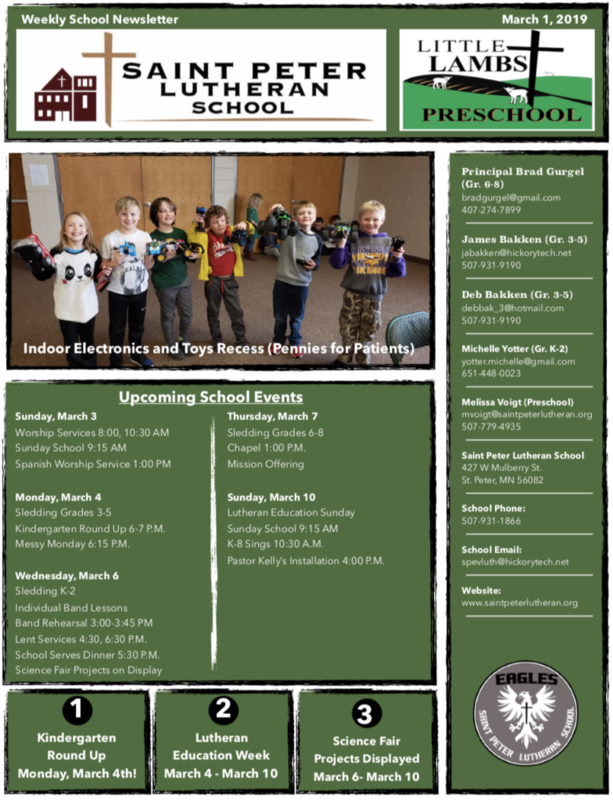 Click on the link below to read the 3/8/19 edition of the Saint Peter Lutheran School weekly newsletter. 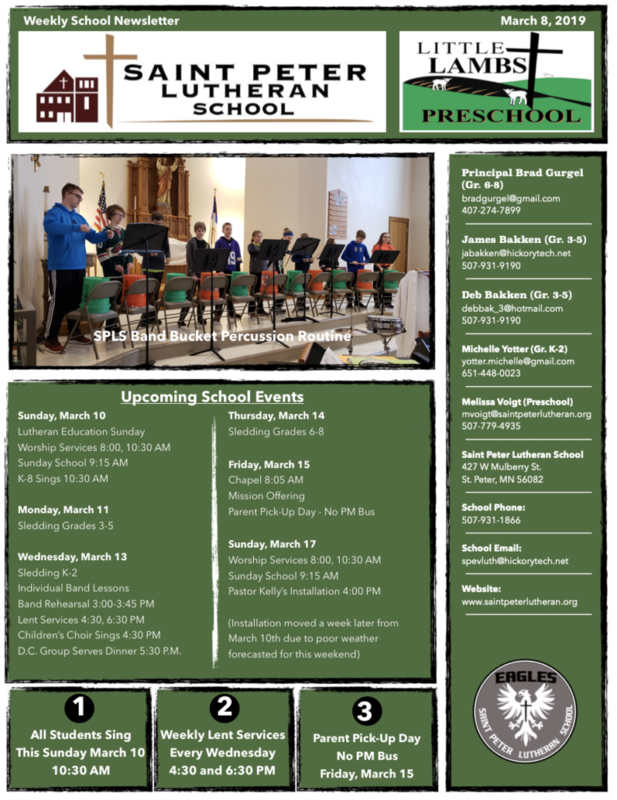 Please click on the link below to read the March 1, 2019 edition of the weekly Saint Peter Lutheran School newsletter.